What are the best personal development books of all time? What self-help books are must-reads for personal growth? There are so many good books. Books to motivate, books to inspire you and books that will change your life. With no shortage of options for your personal growth and development in 2019, it’s easy to be overwhelmed. No wonder we feel as if it will take a lifetime to read them all. So, where do you start your personal development journey? What self-help book should you read first? I want every book you read in 2019 to change your life – to impact you, your mindset and your life in a fundamental way. To encourage you that achieving your dreams and goals is possible for you. Because it so is! Personal development is a life long pursuit of betterment and just one book isn’t enough to get you there. It’s not just about growing your skills and talents, but about connecting with who you really are. It’s a pursuit of self-discovery, of purpose, and of greater understanding. Each and every book in this best personal development book roundup has impacted lives. Instead of reading a synopsis of each book title, you’ll read recommendations from real people who have selected this book as their favorite personal development book of all time. 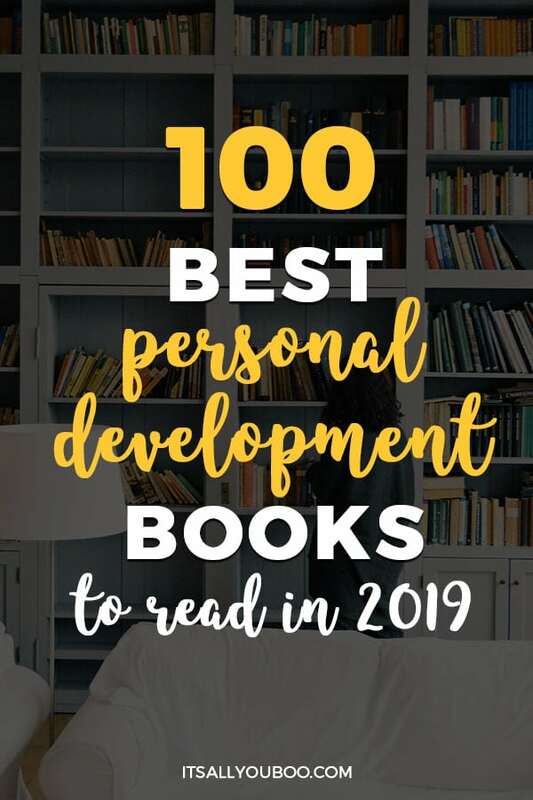 Here are 100 best personal development books to read in 2019, organized by topics. Get started on your journey of self growth today. You want to be successful in life. Of course, you want to achieve your goals. But exactly, how do you succeed? What are the steps to success? The following are the best personal development books on success. They each teach you principles and practical strategies to achieving success in your life. So, if you’re frustrated, feel like giving up or stressed out that things aren’t working out, these self-help books are for you get your success mindset and actions right. Want to know the number one secret to success? “In the world of self-help and personal development, it seems everyone has a message to make your life better. It can get really noisy, really fast. That’s why my favorite personal development book is The One Thing by Gary Keller. Want actionable advice that actually works? “The Success Principles by Jack Canfield is filled with easy-to-implement actions. You can open to any page to get inspiration and guidance. “I bought this book 5 years ago, and every time I open it up I find a new way to improve my attitude, destroy my fears, or change my limiting beliefs. I have so many sticky notes in my copy that some of the pages are stuck together between them. This is the one book that I always go back to when I feel stuck because I know that I will find help. “This book shows the right path to success that many people do not know and it is practice for the sack of practice. It helped me figure out the number 1 mistake I was making while perusing my goals, I was dabbling around things and mastering none. Geroge Leonard uncovers the real secret behind success and that continues practicing even if you don’t see any apparent progress. In other words, don’t quit too early because often times the success is 3 feet away from the point you decide to quit. “If you feel like you have absolutely no time or motivation to get everything done, then you need to read The Slight Edge by Jeff Olson. As a mom of 3, with 2 blogs, and a full-time job, I felt like I couldn’t keep up. Do you need to level up? You’ve set goals, but how do you actually achieve them? Living the life you want isn’t just about setting achievable goals, but also overcoming obstacles and challenges. The goal setting is the easy part, so the following best personal development books are here to help you achieve your goals. If you’ve got big dreams for the life of your dreams, but now sure how to make it happen, these self-help books offer a great place to start. Want to be a goals master? Ready to overcome every obstacle? “If you’re like me and you are all about those New Year’s goals then you have to get your hands on Your Best Year Ever by Micheal Hyatt – and the reason I said ‘hands’ is because you’re definitely going to want the hard copy. 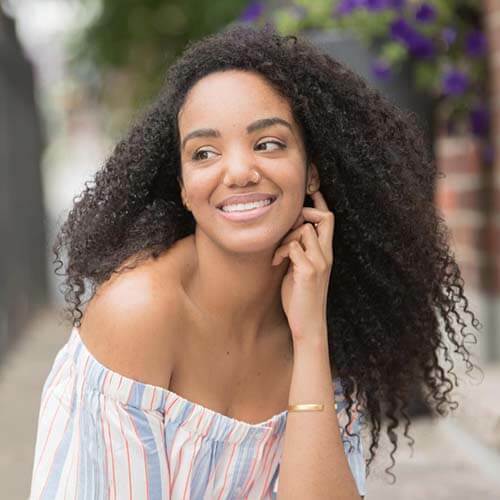 – Jacinta Grand, Social Circle Inc. Tired of stressing about being a perfectionist? “Start Right Where You Are by Sam Bennett gives us perfectionists permission—and the tools—to move past the sometimes paralyzing pressure to do A+ work 100% of the time. Want to know how to get motivated? Having a hard time beating procrastination? You’ve set goals, you even have a plan, but how do you take action? The following best personal development books help with self-motivation. If you’re tired of the struggle to get started, and looking for the best productivity tips, the following self-help books are for you! Easily distracted by social media? “Deep Work drills down on how technology and social media are changing the keys to success. This book explains basic tasks are being automated or outsourced to the lowest cost labor possible due to technology and electronic communication. Even for advanced work, businesses can hire the ‘best of the best’ anywhere in the world. Tired of endless to-do lists? Want to get more done, in less time? “I recommend reading Jeff Sutherland’s book ‘Scrum’. In it, he talks about sprint cycles. A sprint cycle is a time period, usually two weeks, in which you solely focus on one project, and start and complete it during that time period. Each sprint should have the same duration, and bring you closer to achieving your ultimate goal. Struggling to focus on your work? “It ‘focuses’ on our lack of attention these days with the smartphone empire and how we suffer as a result due to our inability to concentrate on any single task at a time without our attention being pulled in many different directions without even realizing it. We’re never really 100% there for our work projects, the ones we love, even our kids are noticing and they’re calling parents out on it. Life in this day and age is like a series of quick hits and dopamine fixes. How do you acheive daily success? What are your strengths and weaknesses? What’s your personality like? Do you know your superpower? Your personal development is all about getting to know yourself and discovering more about yourself. The following best personal development books help you on your journey of self-discovery. Whether finding the best career or life path, these self-help books will help you find the way. “Strengths Finder 2.0 by Tom Rath is a must-read and forever a great reference to skyrocket your success in whatever you are working towards, as it helps you find and follow your strengths. While we all tend to tell ourselves we have to be good at everything, the fact is that if we try to be good at everything, we won’t ever be great at anything. What’s the best career for you and your skills? Are you a perfectionist who is always aiming for your best? Do you constantly feel like you’re not good enough? Personal growth is also about self-acceptance, and not just your strengths and talents, but your imperfections and humanness as well. The following best personal development books encourage you to be compassionate and to accept all the parts of yourself. Not just that, be to open to showing and sharing your vulnerabilities with others as well. Tired of trying of not feeling good enough? “One of the most fascinating aspects of pursuing goals and personal growth is that it oftentimes is coming from a place of feeling ‘not good enough’ or like we have something to ‘prove’ about our value as a human being. The Dark Side of the Light Chasers by Debbie Ford really cracked that wide open for me. Afraid of not being enough? Do you need to show yourself some compassion? Wish you could open up more? Wish you were more confident? That you have the motivation to go for the life you’ve always wanted? You can with the best personal development books to build self-confidence. Each of these self-help books will light a fire in your belly and inspire you to make achieve your dreams and goals. Need to be energized to reach your goals? Need the confidence to go after what you want? “When I was in my mid-twenties, totally burnt out on the corporate grind I knew I’d lost my creative spark. Over Thanksgiving break, I read the book The Fire Starter Sessions by Danielle Laporte cover to cover. Within weeks I’d enrolled in a life coaching certification program because I’d finally remembered my calling to help others. Within a year I’d founded a new life and profitable business. Wish you understood how the world works? Tired of being miserable and complaining every day? Wish you could be a happier person? You can be more positive in life with the best personal development books on happiness and positivity. These self-help books are filled with strategies for looking on the bright side. Ready to just be happy already? Ready to be more happy starting today? Wondering what happiness even looks like? Struggling with stress and anxiety? Wish you could stop complaining? Are you unhappy in the same old life? Want to do what you love and live a life you’re passionate about? You’re not alone! Almost all millennials strive for more and the following are the best personal development books to help you do just that. Forget what anyone says or tells you to do, live your best life as you see fit. 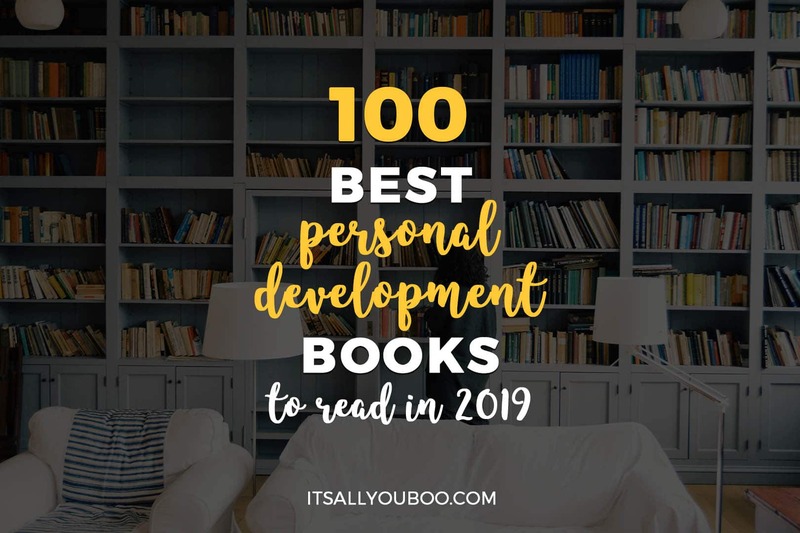 “Choosing my most life-changing personal development book is one of the hardest tasks to do because, in the last year, I’ve read over 50+ self-help books to get to know myself better. Big Magic transformed the way I look at creativity. I use to think I wasn’t creative at all, but it turns out I just wasn’t an artist. Elizabeth’s conversational style makes you feel like you’re just having coffee with a friend. This is a must-read book for anyone who believes they’re non-creative, in a creative rut, or needs to hear some big magic principles they’ve forgotten. The chapters are short and easy to read and digest and there ‘s plenty of golden nuggets for both old and new creatives, bloggers, and entrepreneurs. I think the best thing is that Elizabeth is very apt at putting into words some things I can’t articulate. Ready to stop doubting yourself? Wish you were more passionate? “These two Stanford men have taught a course on how to use ‘“design thinking’ to formulate your career plan. They tell us that designing is what you do when there is no one correct answer, but many possibilities and they walk you through exercises to train yourself in the same ways of thinking so you can apply them to this part of your life. They also help you replace ‘dysfunctional’thoughts with more productive ones. Sick of trying to fit in? Does achieving your goals feel too difficult? Are you struggling to keep going? If you wish you had grit, perseverance, and persistence then here are the best personal development books for you. Each of these will help you build your mental strength and toughness to face challenges and never give up. Want to know the defining trait for success? Are you facing challenges and obstacles right now? Tired of making excuses for not getting it done? “The War of Art by Steven Pressfield is not only going to change the way you look at life, but it’s also going to change the way you look at yourself. In a world where we demonize things like ‘time’, our circumstances, or even the people that surround us, Pressfield challenges you to look at things through a new lens so that you can cut the excuses and finally get whatever it is that you’re working on doing. Need to renew your mindset? Are you trapped by fear and self-doubt? You’ve heard of the Law of Attraction, but wonder how it works. You want to live abundantly, but have no idea how. If that sounds like you, then these are the best personal development books for you. Collectively these self-help books will help you think positively, attract abundance, be thankful, and raise your frequency. Wish you had an attitude of gratitude? Want to start setting intentions? Wish you could think more positively? Want to know how to have abundance in your life? Ready to raise your frequency? Want to become more spiritual? There is so much more to you than you know. Your personal development can also be a spiritual journey to discover your mind, body, and spirit. Here are the best personal development books for spiritual growth. They help you tap into something greater and deeper. Do you need inner peace in all situations? “This book explains, in very understandable terms, that the amount of unhappiness, and despair you feel in your life, is in direct proportion to how far you’ve strayed from your souls’ true purpose. That every intent, action, or feeling of yours, has an equal effect. Gary teaches how you get back what you put out into the world. Karma! If you put out hatred, you’ll get hatred back. If you put out compassion, that’s what you’ll get back. Ready to learn how to be successful? “For me, this was a life changing book. Thoughts are things, change your thoughts, change your life. When I first read this, over 20 years ago, it just clicked for me. As Anis Nin says, We see things, not as they are, but as we are so we see everything through our own filter based on our belief system. Our mind is wired to keep us safe and find patterns. We want to avoid pain, both physical and mental pain, and, without realizing it, we create stories around what happens to us. Do you need to take better care of yourself? Want to foucs on self-love and care? Do you wonder, who am I and why am I here? What’s my purpose and passion? If these are questions you have then here are the best personal development books for finding your purpose. When you read any of these self-help books you won’t be able to look at your life the same way again. Ready to overcome your personal struggles? Waiting for someone to come and save you? Want to know what your purpose in life is? Do you need to wake up inside? “For those who have already read Eckhart Tolle’s The Power of Now, A New Earth basically expands on the idea that it’s our ego that is the cause of all of our discontentment, pain, suffering, and conflict. Where The Power of Now was an explanation of this, A New Earth helps us put his teachings into effect. It’s a book that helps you realize that true wealth and happiness, come not from material possessions, or from how people perceive you, or, even how you perceive yourself, but from a transformation of your conscious mind that brings about peace. You begin to recognize the beauty in everything around you and have more compassion for those you once perceived as not being on the same ‘level’ as you. Do you feel like you’re on the wrong path in life? Do you feel alone and living a life filled with fake and shallow relationships? Wish you could connect better with people? Then here are the best personal development books for creating a connection. These self-help books will help you communicate better, love better and build better relationships. Do you feel like you just don’t belong? Are you a socially awkward introvert? Having trouble opening your heart? Wish your relationships were more authentic? How do you connect with your tribe? Are you focused solely on goal setting and your to-dos? The truth about success is that it’s our habits that make or break us. The following are the best personal development books for creating new habits that make success so much easier. These self-help books are also filled with scientific evidence and relatable examples. Ready to create new habits for success? Want to know the best habits to start? – Stacy Caprio, Stacy Caprio Inc. Curious about what separates successful people from the rest of us? Do you feel stuck in your personal development journey? You want to live a healthy lifestyle. To wake up early, get enough sleep at night and to eat healthily, but it’s hard to get started. Here are the best personal development books for transforming your life with healthy habits. Your personal growth would not be complete without taking care of your health goals. Want start every day the right way? Need to make positive changes in your life? Tired of failing to achieve your goals? Do you find it difficult to just live in the moment? Is your mind preoccuiped with thoughts of the past, or obsessing over the future? If this sounds like you then these are the best personal development books to become more mindful. These self-help books teach you how to practice mindfulness, which enables you to just be here, in the now and to find happiness and joy in being present. Are you always focused on the future? Wish you were more passionate every day? Struggling to discover what really matters? Ready to find happiness in everyday moments? Does every little thing stress you out? “Loving What Is by Byron Katie is all about changing your perspective to stop fighting reality. The simple change to begin loving what is will revolutionize how you face difficult seasons in your life. You will learn that thought that start with ‘it should be’ or ‘it shouldn’t be’ are just thoughts that argue reality and cause you stress. In the simplest terms, if you are late to an appointment and hit traffic, you are likely to think ‘there shouldn’t be traffic right now.’ But that thought only causes you the stress and anguish because the reality there is traffic right now. Put yourself in this traffic situation (we’ve all been there) and try to imagine how freeing it would be to just accept the traffic and the fact that you are going to be late! Need to simplify your life? Want to invest in your personal development, but not a fan of self-help books? Or perhaps you just love an inspirational story with life lessons? If so, here are the most inspirational stories for your personal growth. Sometimes the best personal development books are just really good stories. What if you had a second chance, to do it all over again? Love a good story of success? Not great with life’s changes? Love an inspiring story of team work? “This book not only offers great insight for any individual reader but also benefits the team as a whole. One of the biggest takeaways from this book is working as a team. It is important to be aware of who you work alongside and who makes up your respected team. By having this understanding about all the personalities and abilities that make up your team, this will give you more opportunity for success. Want to read a story that changes you? Ready to become an entrepreneur? Want to start a profitable business? Being an entrepreneur is not easy. Having your own business isn’t either. But with the help of the best personal development books for entrepreneurs, you can achieve your business goals. Ready to take action to achieve your goals? – Amy Johnson, Amy J Co. Does having your own business scare you? Want to escape the 9 to 5 life and be your own boss? Tired of being trapped in a negative money mindset? Here are the best personal development books to reframe your beliefs about money and work. You can retire early, you can quit that job you hate if you learn and implement the principles in these self-help books. Tired of that 9 – 5 grind? Wish you were financially independent? Looking for a blueprint to business success? Refuse to just be another employee? Do you spend too much and have too much debt? Wish you were better at managing your finances? If that sounds like you then here are the best personal development books for improving your personal finance. These self-help books not only teach you how to make more money, but how to break down your negative beliefs about money and wealth. Are you wasting your money on liabilities? “Rich Dad Poor is a great book that taught me a lot about money and finance and how can we use our money to make more money. In this book, Robert teaches that the school system never teaches us anything about finance and that becomes a problem in the future. Robert taught the new difference between Assets and Liabilities according to which Assets are all the things that put money in your pocket, but liabilities are all things that take out money from your pocket. Want to learn how to be rich? – Charlene Li, Crazy Cute Co. Curious about what the habits of millionaires are? “Brian Tracy is a well-known motivator and writer. This book will truly transform you in ways you can’t imagine! You will learn some of the best-proven habits of millionaires and how to be one! I found it easy to read and no matter what stage of your life you are at, you will benefit from the tips and action steps provided in the book to help you achieve greater results. What are your limiting beliefs about making money? Are you really bad with money? What’s the best personal development book everyone needs to read? This is amazing! I love to read books and here are 100 books for personal Development! Amazing research and Great Post! Thanks so much, Mukeshwar! I really appreciate you sharing your favorite book with us. Thanks for including the book I mentioned. I’m honored! There are some real gems in here. This is a definite bookmark for later! Thanks so much, Jacqueline! You are so right, I have my reading list for 2019 and beyond. You’re so welcome, Amira! Thanks for sharing your favorite personal development book with us. These are the kind of books I love to read and you included so many I hadn’t crossed paths with yet. Thanks for the reading ideas and for including my book! Isn’t it exciting to discover new personal development books you’ve never heard of? You’re so welcome, thanks for contributing! Are you maybe going to write one yourself?! hehe, it’s funny that you mention this, it’s actually on my wish list of things to do next year. I’ve got a title and a concept, just need to sit down and write the thing. What a great list! It’s one that I will be coming back to over and over again! So glad to hear that you’re loving our list of best personal development books. Me too, it’s my reading list for the next year or two for sure. There are all great reads! Thank you for putting together this fantastic list, Nadalie! It was a pleasure! I learned so much while creating this post. Each personal growth books literally sounds life changing! These kinds of lists can be overwhelming, but I really appreciate how you break them into kinds of personal development books. Thanks for including my rec—and for giving me some ideas of personal development books to read this year! Oh my, I so know that they can be! With so many amazing personal development books out there I really wanted this post to provide a guide of where to start depending on what you’re looking for. Love this list! A lot of my favorites are there. And lots I need to read! Glad to hear it and happy reading! Oh my! So many amazing books, I don’t even know where to begin! I had to pin this! Haha no worries this list of personal development books will be waiting for you when you’re ready! That is a lot of books 😅. You are really an avid reader if you read all of these. But that does help us because this is a really great post and I’ve already found a few books i want to read. Would you believe if I told you there’s still quite a new self-help books that are not included in this post! So many great titles worth reading, that’s for sure. So many awesome reads here, Thanks for including my recommendation. So much value here. You’re so welcome, thanks for sharing your #1 book choice with us. This is such an awesome and comprehensive list you put together Nadalie! The Alchemist and The Secret are two of my favorites. Can’t wait to read more, especially in the law of attraction section! Those two books are on so many people’s list of favorites. Have fun reading even more amazing Law of Attraction books. I have read a couple of books on this list and they were really good. I can’t wait to pick up a few more on here! Happy reading, Akriti! There’s a lifetime’s worth of self-development books here. So glad I could contribute to this list of amazing books! Pinning it for later so I can keep coming back for more recommendations. I really appreciate you contributing your best personal development book with us, Chelsea! This is such a definitive list of must read book! Lot of my faves are on this list – but definitely a few new ones that I’m excited to check out. Bookmarking this! Thanks for bookmarking and happy reading. To finding new favorites! Thank you for compiling such a definitive list of personal development book! This post is jam-packed with some of my favorites (The Slight Edge, Grit, A Return to Love) however there are definitely a few new ones that I’m super excited to read. Bookmarking this list! This is the most epic list of personal development books I’ve ever seen! Totally bookmarking this because personal development/self help books are one of my favorite topics to read! I also see on this list some I’ve already read (that I love) and one of my all time favorite books, 48 laws of power. Great job on this list! Thanks so much for contributing Rosie! We’ve got a list to refer back to a long time to come, I’m slowly working my way through it by topic.